It’s said that”you are what you eat”. But is it also true to your musical taste? Jason Rentflow from University of Texas has headed a research program to examine the role of music in our daily life. 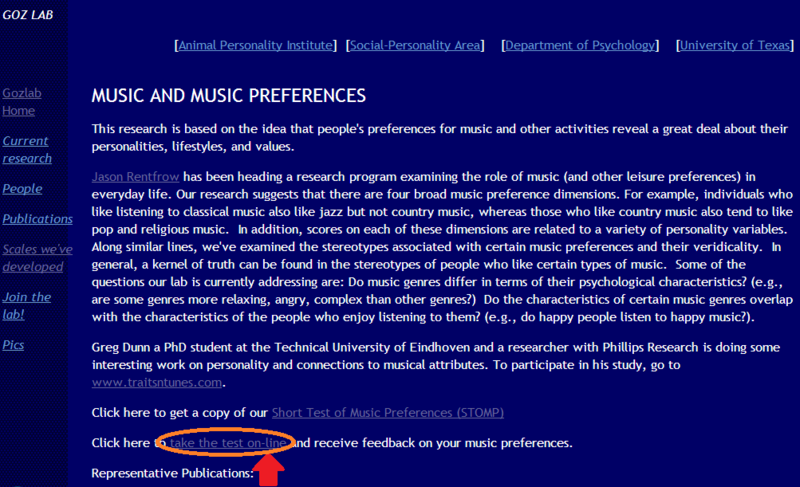 An online test Short Test of Music Preferences (STOMP) by Greg Dunn and a researcher with Philips Research is available to see how the musical preference reflects your personality. You have to rank your likeness of quite a certain types of musical genres such as blues, rock and classical. It gives quite an accurate description for me. You may have a trial. 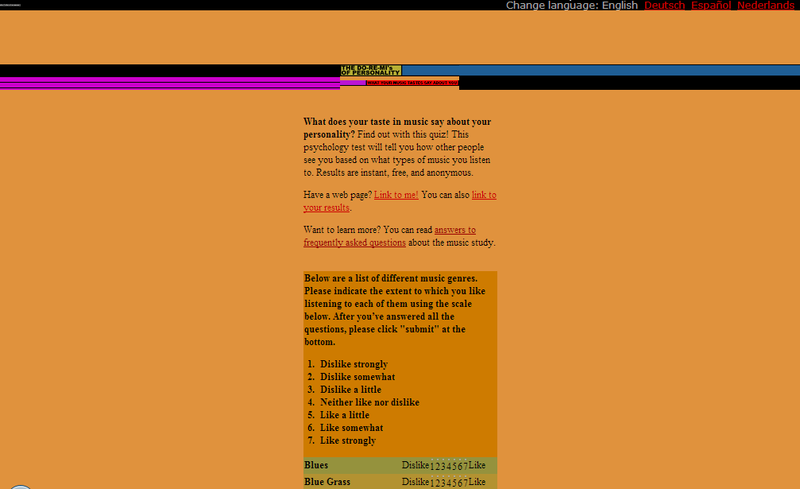 This entry was posted in Artistic gossip and tagged music preference, personality, psychology test. Bookmark the permalink.